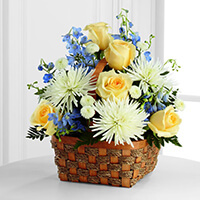 Provide comfort for the family of Lynda Wilson with a meaningful gesture of sympathy. In loving memory of Mrs. Lynda Wilson who passed away at Englehart & District Hospital, after a 21 year long battle with cancer on Monday, February 04, 2019 at the age of 67. Lynda was born on February 23, 1951 in Englehart to the late Donald and Edna Mills. She married her husband Bryce Joshua Joseph Wilson on February 12, 1972 at the Emmanuel United Church in Englehart. Lynda worked for the Kirkland Lake School Board from 1981-1998 as a Custodian. Lynda loved life and everything in it. She was happy sitting by the campfire visiting with friends & family. She loved fishing, horseback riding, painting, gardening and her family. Pre-deceased by her parents Donald & Florence (Edna) Mills and brother Garry Mills. She is survived by her loving husband Bryce and her son Jeff Wilson, daughter Donna Wilson, brother Boyd Mills, granddaughter Tatum Wilson and many cousins. The family of the late Mrs. Lynda Wilson will receive friends at the Royal Canadian Legion Br. 104 , Englehart, on Saturday, February 9, 2019 at 11:00am for a "Celebration of Life" service. A Luncheon will follow the service at the Legion. In memory contributions to the Canadian Cancer Society will be greatly appreciated. Condolences, contributions and memorial candles may be left at www.mcdonaldfuneralhome.ca. 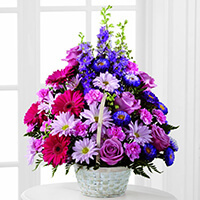 To send flowers in memory of Lynda Wilson, please visit our Heartfelt Sympathies Store. Bob and Betty, Joe and Diane (Curling Buddies), Jennifer and Derek Wrzala, and others have sent flowers to the family of Lynda Wilson. Bob and Betty, Joe and Diane (Curling Buddies) purchased the The FTD Heavenly Scented Basket for the family of Lynda Wilson. My sincere condolences to the Wilson family. My condolences Bryce to you and your family. Lynda was one amazing lady to fight the way she did with that nasty disease. Jennifer and Derek Wrzala purchased the The FTD Pastel Peace Basket for the family of Lynda Wilson. Our heartfelt sympathy to Bryce and family. Lynda was a unique individual who in spite of all the suffering she endured, LOVED life and when able tackled whatever she wanted to, 'in the moment'. She will be missed.